A feminist writer says Jacinda Ardern is "truly nothing to write home about". A feminist writer has described New Zealand's PM as "truly nothing to write home about". A prominent feminist writer has gone after New Zealand’s Prime Minister Jacinda Ardern. Like many others, Jocelynne Scutt – a famous feminist lawyer, writer and commentator – took issue with the PM’s interview on 60 Minutes, which has since been branded as “creepy” and “sexist”, according to The Guardian, because of some of the comments made by journalist Charles Wooley. “I’ve met a lot of prime ministers in my time. But none so young, not too many so smart, and never one so attractive,” he told the 37-year-old politician at one stage of the interview. Feminist commentator Jocelynne Scutt described New Zealand Prime Minister Jacinda Ardern as "truly nothing to write home about". Image: Facebook. But as offensive as his comments may have been, they pale in comparison to the ones made by Scutt, who claimed Ardern was "truly nothing to write home about". In a Facebook post on Monday, Scutt wrote about the "ridiculousness" of telling "a woman in a prominent position that she is &apos;attractive&apos;". She should have stopped there. But the 70-year-old went on, and that&apos;s when things turned nasty. She continued to pitch in her own opinion on the PM&apos;s looks - right after she slammed Wooley for doing the same. Jacinda Arden and her husband Clarke Gayford on 60 Minutes. Post continues below. "Okay, she&apos;s alright but truly nothing to write home about - good smile, smiley eyes, lots and lots of teeth all of which look white, highly polished enamel... good! But would the journo look twice if she were not PM of somewhere, anywhere?" she asked. In a confusing turn, she then appeared to pivot on her own opinions. "This is just idiotic the notion that women have to be told they are attractive - as if this is the ultimate accolade... what about brains, intellect, policy, programme, manifesto, plans...???" Women may not "have to be told they are attractive", but they certainly don&apos;t need to be told they&apos;re unattractive either. In fact, let&apos;s just leave looks out of it. People online weren&apos;t having a bar of it. 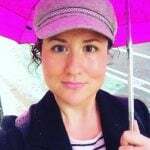 "I find it horrifying that &apos;feminist writer&apos; Jocelynne Scutt, a high-profile human rights barrister, would write a post admonishing the 60 Minutes treatment of NZ Prime Minister Jacinda Ardern and then herself evaluate Ardern&apos;s appearance in very the same post," one reader emailed Mamamia. "And with a shockingly male-gaze judgement. Ardern’s looks, she writes, are &apos;truly nothing to write home about&apos; and &apos;would the journo not look at her if she were not pm…?&apos;"
"Yes indeed, the interview was an embarrassment, but I also think this comment &apos;okay, she&apos;s alright but truly nothing to write home about...&apos; is also objectifying, again value-judging her appearance (against what?) instead of her politics," said one. "I don&apos;t understand, Jocelynne, why you also comment on Ardern&apos;s physical characteristics - and evaluate her looks - when making reference to her physical appearance was where Charles Woolley showed a total lapse of manners and respect. I am surprised that you would do this." While Wooley&apos;s interview was at times cringe-worthy (he asked her and her husband when they conceived and admitted he was "somewhat smitten" by her) there&apos;s something especially unsettling about watching a woman take down another woman. 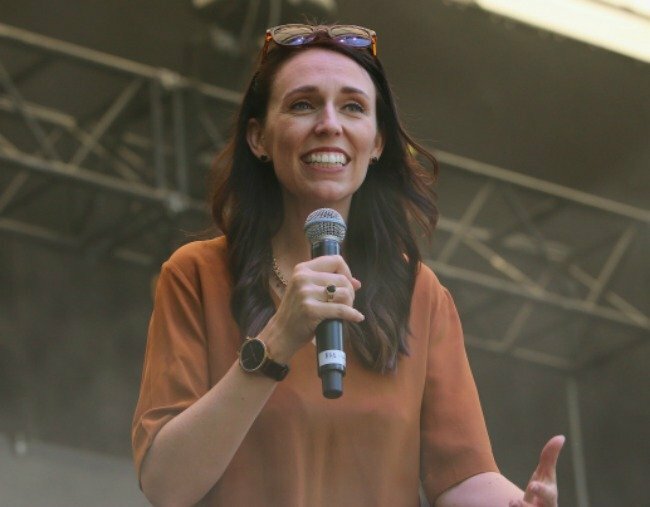 Listen: Jacinda Ardern is pregnant. And yes, it&apos;s a big deal. Post continues below.